Crikey! It’s called a crankie. (New to me.) Isn’t that what I usually feel like on Fridays? Looks like the early version of TV to me. 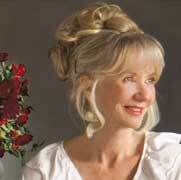 Thanks to Sue Truman, who mentioned this Sustainable Seattle video on my Twitter account. This is so cute, and you know I love anything “farm”! Do you know that feeling you get when you’re strolling through the farmers’ market in, say, late September, and you spy a piece of fruit that is so fresh, so RIPE, that your mouth instantly waters remembering a taste you haven’t tasted for a year, so you pick it up, inhale its fragrance in a deep breath, close your eyes, and sink your teeth into it? That’s the sensation I felt when I got wind of Smallknot. They’re here! 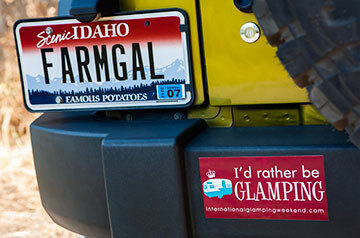 Another batch of free bumper stickers for International Glamping Weekend 2013, June 1 and 2. Head on over for details on how to get yours! It’s happened … the zombie apocalypse is upon us. Oh wait, it’s the zombee apocalypse. Well, it is getting close to Halloween. Wait, this isn’t someone bee-ing funny. I do find it a little bee-musing, but apparently bees are in trouble in yet another new way. It’s not the quintessential target of our secret desires, but, hey, Jiminy Cricket doesn’t know everything! In the UK, a wish might just as easily be cast upon a tree as a star. Well, maybe not quite as easily, seeing as how there’s a fair amount of pounding involved. 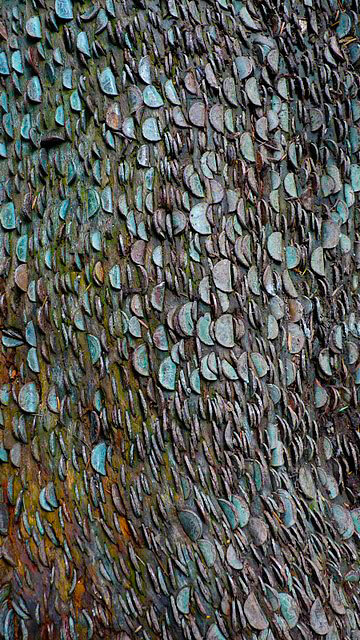 Photo of Wish tree coins in Cumbria, England, by Rosser1954 / Wikimedia. Curious coin-studded tree trunks can be found throughout the woodlands of England, Scotland, and Ireland. The trees are ancient, long past the days of leafing. Instead, they seem to sprout generations of hopes and dreams in the form of shillings and sixpence. In her published diaries, Queen Victoria mentioned visiting an oak tree festooned with coins on an island in Scotland, and the tradition must have started long before that because a 14th century florin coin was found lodged in another Scottish “wishing” tree. 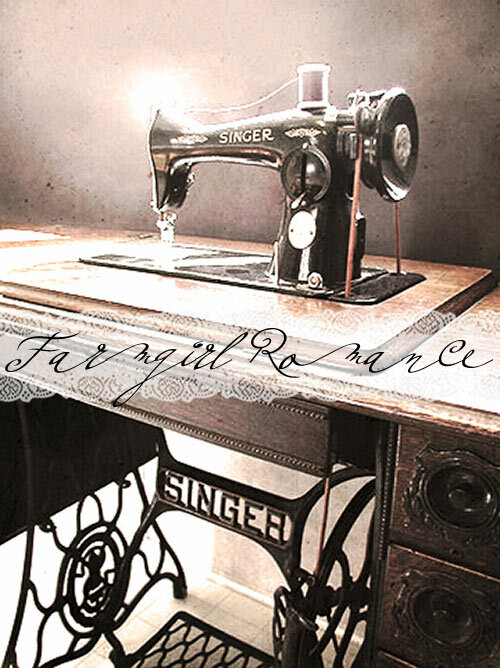 Happy National Sewing Month! 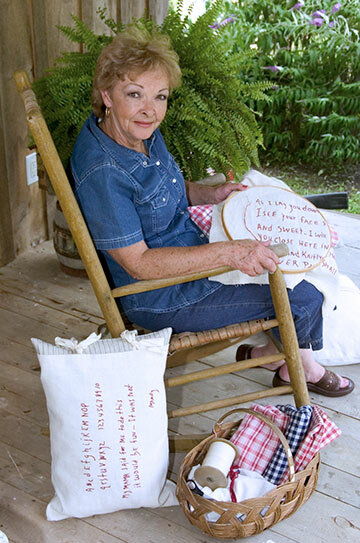 National Sewing Month was started in 1982 to ensure “the recognition of the importance of home sewing to our Nation.” If you have any sewing projects you’re working on, send ’em on in and we’ll get them posted! 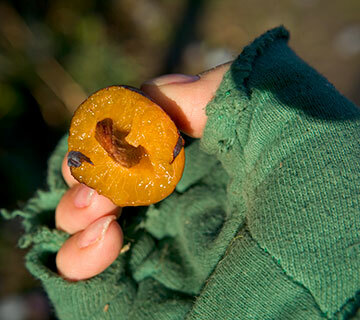 E-mail your pictures to ace@maryjanesfarm.org. On the way to South Dakota for a glamping meet-up and greet-up with the lovely ladies of Glampers on the Loose, we began to notice a common element alongside the road during our trek. 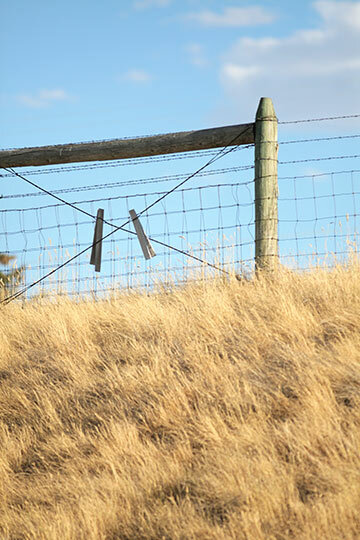 So many fences. Of all shapes, sizes, and shades of brown. So maybe I am a little late on the trend … but these emoticon things are crackin’ me up like yesterday’s egg scramble. A quick way to show computerized emotion, these little push-button faces are the Internet equivalent of gestures, facial expressions, and body language. Surprisingly, these aren’t something new; emoticons (referred to below as typographical art) go back as far as 1881! Emoticons printed in 1881 in the U.S. magazine Puck. Puck no. 212, p. 65. Courtesy of Wikimedia Commons.